Today I was asked about good alien invasion stories. It's a huge genre. But since I made some recommendations for horror, I'll do the same here. 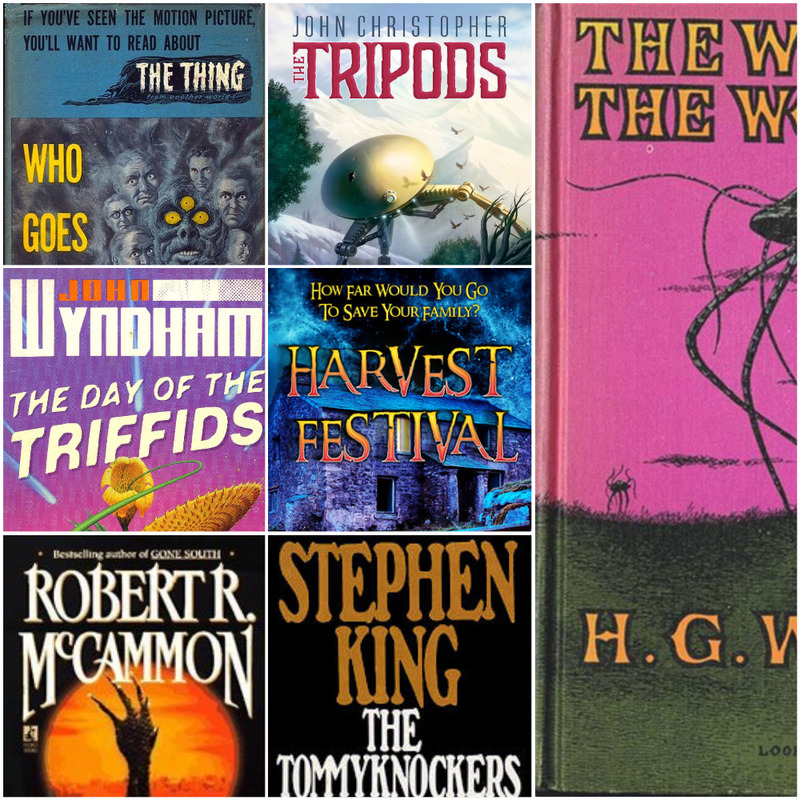 I'm a fan of The Tripods trilogy by John Christopher. I re-read them all recently - they're just as good today as they were in the late 1960s. Their setting is post-invasion, but the focus on a boy is great for drip-feeding discoveries that create a surprising amount of horror for a children's book. While talking of oldies, we mustn't forget Day of the Triffids by John Wyndham (1951). It has all the elements of a good invasion: a believable delivery mechanism, original ways of weakening our defences, and truly alien invaders. Jumping back even further to 1897: The War of the Worlds, by H.G. Wells. It's a classic with good reason. I was always a fan of the Ooo-lahs of Jeff Wayne's 1978 musical version, which first introduced me to the song Forever Autumn (Youtube). Less traditional invasion stories include one of my favourite novellas, Who Goes There? by John W. Campbell (1938). :-) It's a damn good horror story too, and was filmed as The Thing (1982). A fun horror with an alien invader is Stinger by Robert McCammon (1987). A fantastic book that really gets under your skin. 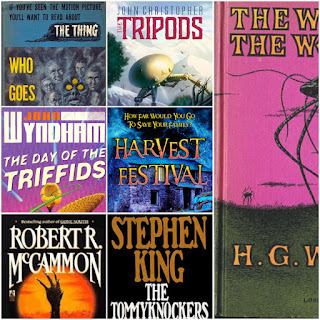 I'm sure it was a partial inspiration for my own alien invasion book, set in Wales, Harvest Festival - which is one of my most-reviewed books. Stinger was also the first book I read with a single page prologue that was a rewriting of a scene later in the novel. You could also possibly include The Tommyknockers by Stephen King (1987, just like Stinger - must have been a good year for aliens). What have I missed? Feel free to tell me in the comments. If this post is popular I could see myself looking at other sci-fi genres that cross over with horror in the future e.g. mad science, environmental, haunted house in space etc (the latter would include Lost Solace).